Looking to attend events that shed light on how to live your life with more meaning or to participate in meaningful causes and to support social enterprises? Throughout the year, Skillseed organises/ co-hosts talks and workshops, and also participates in social sector events to benefit both students and the general public. Bring your own stories and questions to the table, and take away conversations to refuel and re-centre your life. Skillseed is partnering with A Good Space on a series of public talks that aim to illuminate the good work done by our community partners, to give the public insights into how they can travel better and volunteer responsibly to make positive impact. 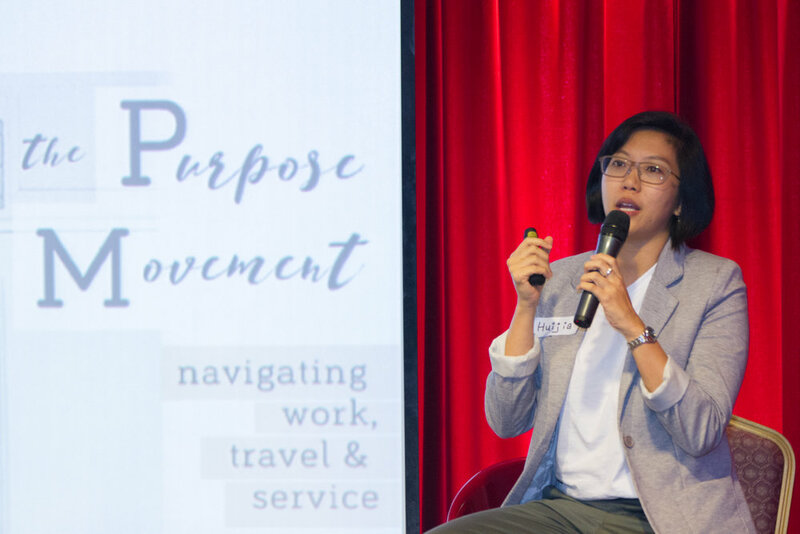 The public talks and workshops are part of the "Be Inspired" Speaker series at A Good Space - a community-curated public space at the National Volunteer and Philanthropy Centre (NVPC), co-hosted by Founding Curator Anthea Ong. It aims to transform ordinary spaces into places of purpose by convening catalysts of change to invent, innovate, intersect and inspire communities through a variety of events, experiential simulations, activities, film screenings and more. In celebration of the Youth Month, Skillseed hosted an event that aimed at how one might incorporate a compass of conscious direction to navigate the decisions that define how to work, travel, serve, and live. 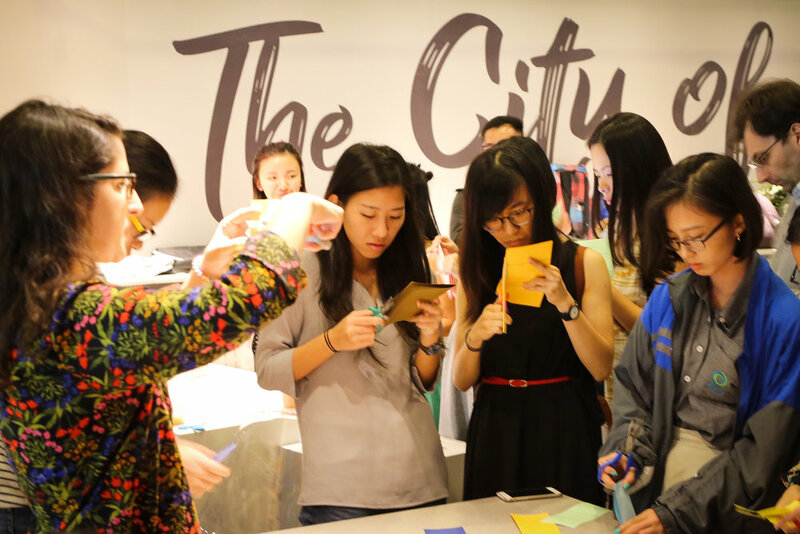 Understanding the background of what goes on behind the curation and crafting of Skillseed journeys gave individuals insights into becoming part of our movement to change how Singaporeans travel and impact the world. The audience was also part of a dialogue of individuals who have found meaningful ways to infuse purpose into their work and life. The speakers included an urban farmer, a student who doubles as a liberal arts educator for kids, and a medical student who leads skilled service projects. Thought leaders in the field of university admissions were also present to share about the type of students that they prefer to accept into their collegiate community, what they think of mandatory Overseas Community Involvement Programmes (OCIP) and how sustained, meaningful volunteerism help students in their college and future careers. 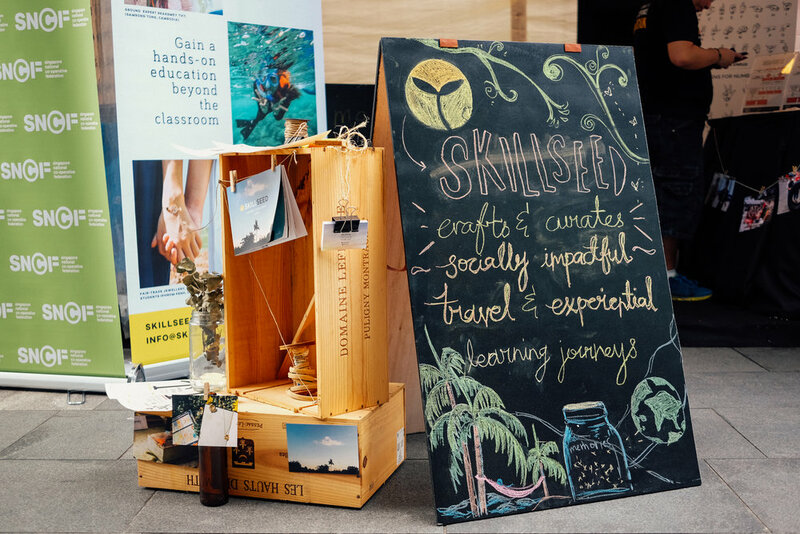 A festival celebrating the wonderful world of social enterprises in Singapore, where Skillseed was invited to also share with festival-goers our work as well as how we can collectively impact our world in a positive way. As part of the Youth Month celebrations, Shine Festival showcases the talent of youths nationwide, and highlights youth role models and leaders who inspire their peers. Skillseed being an organisation that works with youth, was at the festival to celebrate the talent and potential of youth for making impact in the world!